Fedde continues to turn heads after winning the praise from the likes of Dancing Astronaut and Billboard for Firestarter – a collaboration with Ida Corr and Shaggy which released last month. Now adding Coco’s Miracle to his list of 2017 heavy hitters including Dancing Together, Love’s Gonna Get You and Keep On Rising. As Dannic continues his hot streak with his 5th release of 2017, it’s safe to say both DJ’s are well on their way to making 2017 into one of their most interesting years to date. Hailing from the same pond of Breda - The Netherlands, the two superstar Dutchies now seem to have found their way into each others studio and the results do not disappoint. Bringing you a club ready cut with the Coco’s Miracle Club Mix and a massively catchy Original Mix, there’s plenty to go round. A rejig of Coco's classic 90s track 'I Need A Miracle', which Coco went through an emotional legal battle to protect her rights for. 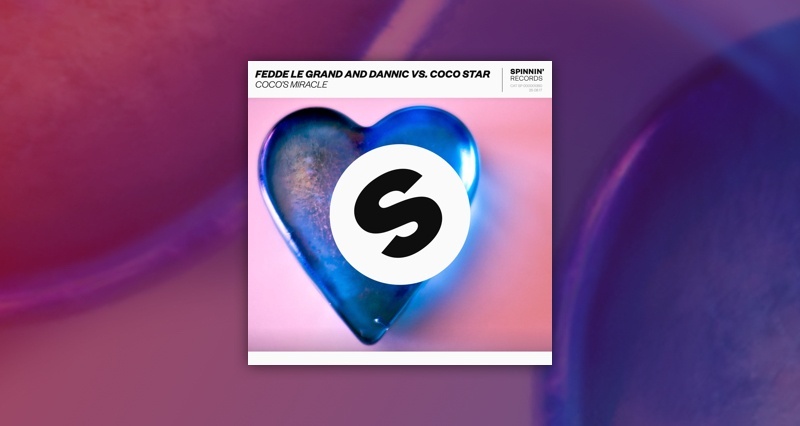 Coco’s Miracle is Fedde and Dannic's way of giving Coco the recognition she deserves, whilst bringing the track headfirst into 2017. Find the cut for you, and don’t forget to check out how you can join in chance of being featured in the official music video right here!